Hotel Alkifron is situated in the center of Kala Nera. 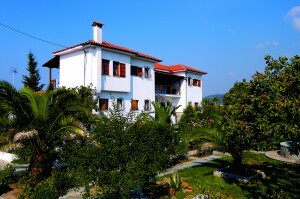 It is a traditional family hotel, in keeping with the typical Pelion style. 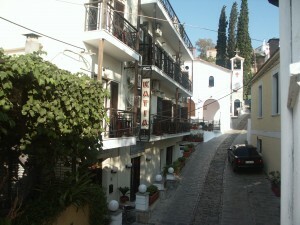 Katia Hotel is conveniently situated overlooking the village square of Afissos around 30m from the sea. Charoula’s House is situated in one of the side streets of the village of Afissos, just a few minutes’ walk from the main square. 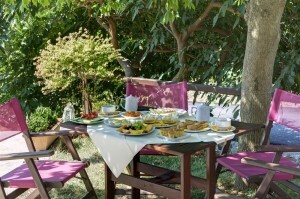 Situated on the hill in a quiet but central location sits the atmospheric Margaritis House, built in traditional Pelion style and surrounded by an olive grove, with the sea glittering in the distance. Leonidas House has a total of five studios and is built on the hillside at the beginning of the village of Afissos and boasts stunning views over the Pagasitic Gulf. Agnanti House is the perfect spot to enjoy a drink whilst watching the golden sunset and the magnificent colors of the sky as the Sun dips into the sea. 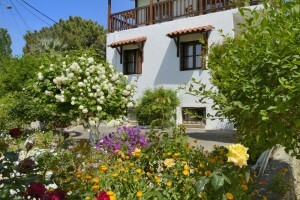 Takos house is situated in a lovely garden with flowers and a fountain and the friendly owners maintain the property beautifully and take good care of their guests. The location is not far from the coastal road. This simple, well maintained house is located in a side street off the coastal road, only 150 meters from the beach of Kala Nera. 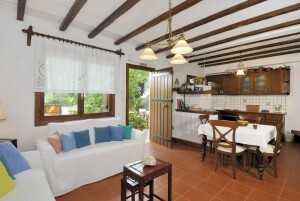 Villa Ortansia in the mountain village of Milies, offers stunning views, traditional design and modern comforts.